Are you wondering how you can boost your home improvement company’s Google search rankings? You may see climbing to the top of Google as a must to help grow your business, but you’re not alone – that’s what makes it so difficult! In fact, in all the years working as a digital marketer, this has got to be one of the biggest things I get asked about by home improvement companies just likes yours all the time! However, when a lot of businesses approach for me advice on this subject, I hear the same old story, with many of them seeming to be determined to get to the top of Google search for specific keywords – when actually, that shouldn’t be your number one focus at all. “But if not keywords, then what?” – I hear you ask. Don’t worry, I’m going to explain everything below, including the real areas you should be focusing on in order to get more out of Google search in all the ways that really matter. 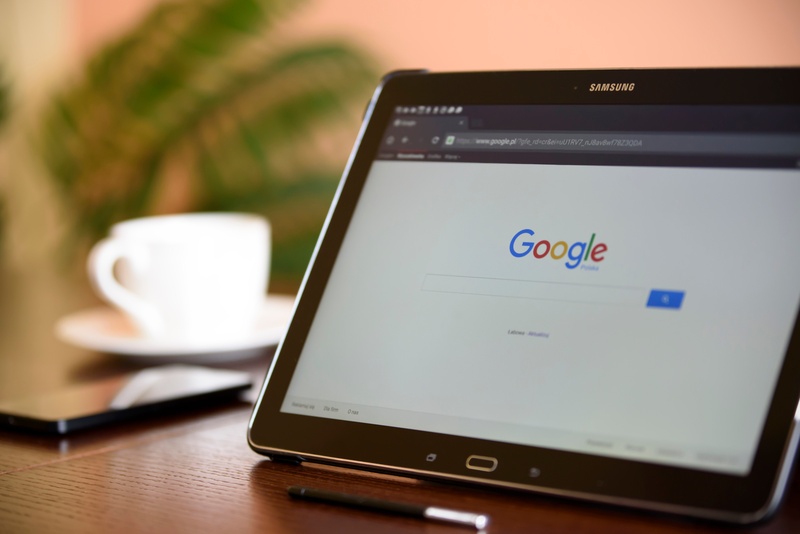 Many businesses that come to me seem to be under the impression that keywords and Google search rankings are the only thing that matters when it comes to getting anywhere in Google – this view is a bit outdated and not really how the internet works anymore. I usually have to spell out the fact that higher rankings + more traffic will NOT necessarily increase your sales if your website isn’t already converting, which is why a more holistic strategy (that incorporates SEO) such as inbound marketing is needed. A more rounded strategy will help optimise your website so you can convert all the lovely new traffic you’re sending once it arrives. Otherwise, all your efforts in Google search simply won’t pay off. Quality content is the number one best way to drive up your search engine rankings, and you should be publishing relevant, regular content on your website’s blog. This is also known as content marketing, and you can read more about creating a content marketing strategy on my blog. NOTE: Google rewards websites that are kept freshly updated with quality, informative content, so aim to publish your blog posts at least twice per week. One of the best ways to increase your search engine rankings is to match the language and questions your ideal customers (or buyer personas) are typing into Google when looking for your products of services, while including relevant keywords. Let’s use Barry’s Boilers as an example. Some of Barry’s customers are typing ‘gas boilers in Edinburgh’, and with a bit of research, Barry can also determine the intent behind this search: for instance, are they looking to buy a gas boiler in Edinburgh, or (more likely) find an installer? Did you notice how Barry is targeting people who are looking for something very specific in his area? This ensures more of the right people will find Barry’s services when typing this particular term into Google. Another of the best things you can do to encourage local SEO is to create a Google MyBusiness account. Think of it as essentially combining Google search, maps, and Google + together with Reviews, Insights and Google Analytics into one easy-to-use interface. Well, for a start you’ll be much easier for local customers to find online, as when they do a search for your services in their area, one of the first things they’ll see is your business listing, which includes a description of your business, photos, contact details, reviews and opening times. If you’re traffic seems unusually low, you should also check your web pages are actually being indexed properly by Google, and that they are visible for Google to find. It’s simple enough to check this via Webmaster tools, or if you want an expert to check it for you, an inbound or SEO agency should be able to help. Doing this will help give you a better idea of how Google sees your website. Try this quick trick: Simply type ‘site’ into Google, followed by your website address (so ‘site: www.stargazerdigital.co.uk’). The results should come up with all of your web pages, and most should be included – so, if any are missing, there’s probably an issue you need to get checked out. If you liked the trick above, you can also try it with your chosen keywords (so ‘site: www.stargazerdigital.co.uk inbound marketing). If your website doesn’t show up for these, it could be another sign something isn’t right. There are so many other tips and tricks to help improve your home improvement business’s SEO, but if I were to list them all, I’d be here all day – and if you’re running a business, you may not have time to sit and implement all of them. You may want to consider hiring a digital or inbound marketing agency that can include SEO as part of a holistic approach to help you grow your business the smart may – that way you can take the pressure off and still be fairly certain you’re on the right track to success. I hope you’ve found this blog helpful when boosting your home improvement company’s search engine rankings. I recommend going away and trying the three tips above before you do anything else, as they can go a long way to helping your company show up in Google search. If you’re in need of any help or extra advice about how your home improvement company can get better results in Google search, please feel free to leave a comment below – I’d love to hear about the problems you’re facing, and I promise to reply with a helpful response.